Lochloosa Lake (5700 acres) is designated as a Fish Management Area and located 5 miles south of Hawthorne near the town of Lochloosa. Most of the shoreline is bordered by old-growth cypress trees, and knotgrass and spatterdock (bonnets) are the predominant aquatic plants in the lake. 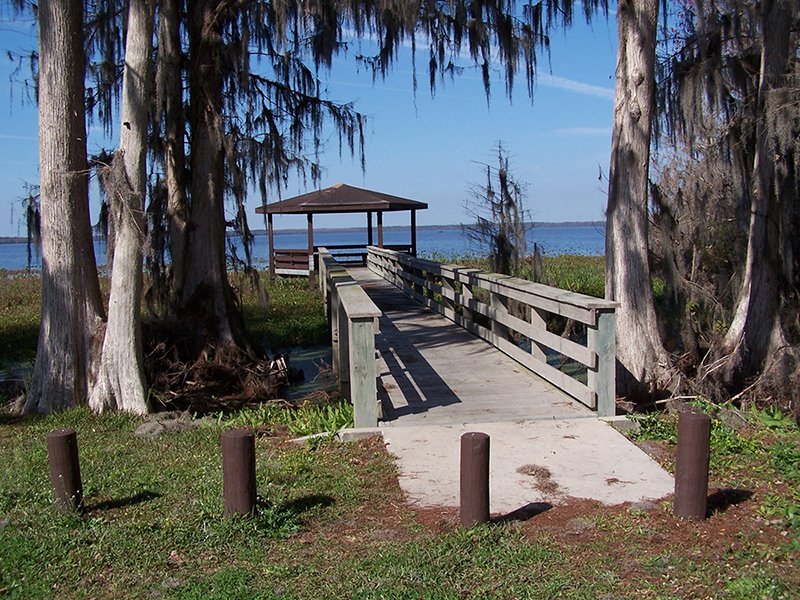 A public boat ramp provides access to the lake from U.S. Highway 301 in the town of Lochloosa, and at Lochloosa Harbor Fish Camp just north of the town of Lochloosa, also accessed from U.S. 301. In addition, a public pier is located south of the town of Lochloosa on Burnt Island and is a popular fishing site for those without a boat. Lochloosa Lake offers good bluegill, redear sunfish and warmouth (bream) fishing during April through September; however, some bream can be caught year-round. Anglers targeting bream should fish with grass shrimp in deep-water spatterdock or deeper grass patches. Black crappie fishing is best from January through April in the spatterdock with grass shrimp and minnows. During summer and fall, crappie anglers should drift open water with grass shrimp and minnows.